The meeting of philosophy and psychology is an important space to discover new and deeper ways of viewing human life. A fruitful intersection between these two fields of knowledge arises within the meeting of hermeneutics, a philosophy of meaning and interpretation and depth psychology”—the psychology of the unconscious” (Martin, 1960, p. 5). In hermeneutics, understanding is realized as being inseparable from one’s own cultural and historical influences, while also arising from a shared dialogue with the world and others (Veith, 2015; Orange, 2011, pp. 104-108). Truth is sought in this dialogue as participants risk currently-held convictions to allow new and unexpected understandings to emerge (Orange, 2011, p. 105). Hermeneutic understanding applied to depth psychology incorporates 1) the importance of a shared cultural and historical world, as well as 2) the role of dialogue, in seeking to understand unconscious phenomena. The concept of the unconscious is highly contentious. In his 1959 volume, Existence, Rollo May discusses two important criticisms which challenge the validity of the unconscious. First, May addresses “the doctrine of the unconscious as a convenient blank check on which any causal explanation…or…deterministic theory can be drawn” (p. 90). He further disputes the implied dualism between consciousness and the unconscious. This dualism is problematic because, “being, in any living sense, is at its core indivisible” (p. 90). For May and other practitioners of existential psychology, a person is a whole, a gestalt. The psyche, like the body, does not exist as a collection of parts; instead, when divided, both lose the quality of life. However, May (1959) discusses that in regard to the unconscious, “the far-reaching enlargement of personality, which is its real meaning should not be lost” (p. 91). May’s comments highlight the complex relationship that psychology has with the theory of unconscious phenomena. On one hand, this concept has expanded the understanding of human psychological phenomena. On the other, May’s criticisms of the unconscious are valid and must be addressed by any who put forth a case for depth in psychology. Applying a hermeneutic understanding to the concept of unconscious phenomena begins to address these criticisms. This way of understanding unconscious phenomena proposes that individuals live out various cultural and historical meanings. Some of these meanings are concealed by the pre-reflective (or unreflected upon) positioning of the intentionality of consciousness. However, concealed meanings can be explored, as they announce themselves through revealed objects of consciousness. Inquiry into the nature of unconscious phenomena begins with an examination of conscious phenomena. By developing a sketch of what is conscious, a corresponding outline of the unknown and unconscious is implied. A fundamental aspect of consciousness is that of being “characterized by intentionality ” (Valle, King, & Halling, 1989, p. 11). Intentionality of consciousness is the proposition that the act of consciousness always has an object upon which it is focused. 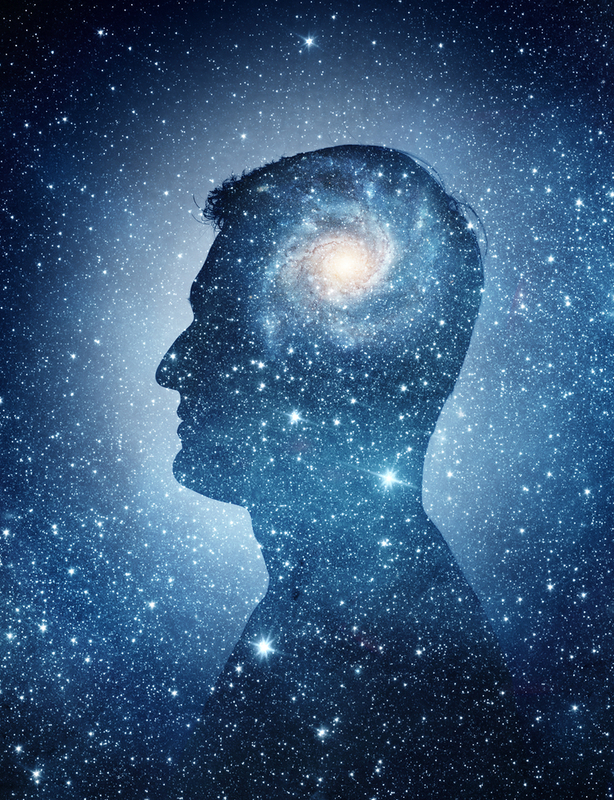 The connection between a continuous and ongoing process of consciousness, and the objects upon which it is focused, renders consciousness inseparable from objects of consciousness (Valle, King, & Halling, 1989). In other words, “We are never merely conscious but are always conscious of something” (p. 11). These objects of intentionality are not existence-dependent; they do not need to be physically existent in order to be taken up by the mind (McIntyre & Woodruff Smith 1989). This allows one to be conscious not only of tangible objects, but also concepts and other seemingly intangible phenomena. Consciousness, understood as intentionality, is an ongoing process of relation to objects of consciousness. This relation is what creates a world of understanding and experience called consciousness. Human consciousness, however, lacks omniscience; the totality of experience is not illuminated by the intentionality of consciousness. An implication of this limitation is, that while consciousness illuminates some aspects of the world, others are cast into shadow, a principle which Heidegger (1953/2010) called concealment. Phenomena can be concealed as either undiscovered, or submerged. Undiscovered phenomena are simply what one has not yet encountered: “There is neither knowledge nor lack of knowledge about it” (Heidegger, 1953/2010, p. 34). Undiscovered phenomena need only be encountered in order to have a chance of becoming revealed objects of consciousness. Submerged phenomena are what have once been “discovered but then got covered up again” (Heidegger, 1953/2010, p. 34). Most often this submersion is not complete, and traces of the phenomena remain in the conscious life of individuals. Heidegger (1953/2010) further elaborates on the covering up of submerged phenomena in his discussion of two modes of submersion”—accidental coverings and necessary ones” (p. 34). Accidental coverings are objects of consciousness occluded by the stance that one takes in the world, and are a simple by-product of how one encounters the world. Necessary coverings, however, are required for psychic equilibrium. These coverings represent encounters with objects of consciousness too painful or discordant to be engaged with and incorporated into one’s current stance towards the world. The principle of concealment extends to all aspects of consciously held phenomena; thoughts, feelings, memories, beliefs, and events in the world are all objects of consciousness which interact with the positions lived by a person. Revealed phenomena show a partial truth that at the same time conceals other partial truths. The two-fold action of the intentionality of consciousness allows awareness to exist while, simultaneously, the concealed aspects of the world are beyond conscious awareness. This brings us to an important edge in the sketch of consciousness. Intentionality, as the primary characteristic of consciousness, provides a rudimentary understanding of revealed and concealed phenomena. The phenomena revealed by consciousness are accessible, while other phenomena, concealed by consciousness remain inaccessible. The existence of inaccessible submerged objects of consciousness invokes the possibility of an unconscious world. Both concealed and revealed phenomena remain a part of the totality of one’s world, shaping the experience and life of the individual. A more complete understanding of how consciousness is affected by both concealed and revealed phenomena can be found in examining the relation of consciousness to the world, which is elaborated further in the next section. Heidegger’s work is an inquiry into the most basic aspects of being, what he calls “fundamental ontology” (Heidegger, 1953/2010, p. 12). He sees being as existing prior to conceptual thought, which is only a representation of being (Guignon & Pereboom, 2001). The acknowledgment of the pre-reflective nature of being fundamentally alters the understanding of what consciousness is in the world. One’s consciousness of being is not only the intentionality of thought; it is also the pre-reflective experience of being in the world. This experiencing being-in-the-world Heidegger terms Dasein, or “being-there.” For Heidegger the exploration of Dasein replaces inquiry into consciousness, because being-there is prior to the activity of consciousness. Dasein is understood as an open experiencing that cares, has possibilities, and engages in dialogue (Heidegger, 1953/2010). For the purposes of this inquiry, care is most central. Heidegger discusses how the world discloses itself through care, by saying “The totality of the structure of being … has become explicit through the phenomenon of care” (p. 212). It is one’s cares that orient a meaningful world of experience and render the world that is encountered intelligible. In refocusing to pre-reflective being in the world, the conceptual notion of intentionality is supplanted by the engagement of care (Wheeler, 2015). Instead of consciousness engaged in an intellectual intentionality, Dasein is engaged in an experiential care towards its possibilities and the world. This care is lived through a stance toward what is encountered; structuring one’s world while also occluding stances which oppose one’s care. Unconscious phenomena are what becomes covered over in one’s pre-reflective structuring of a world that is incompatible with the submerged unconscious phenomena. A deeper understanding of Dasein is found through examination of care’s relation with the world. Fundamentally, cares are actualized through engagement with possibilities in the world which are experienced as a dialogic process as one is simultaneously affected by and affecting the world. This dialogic process illustrates that Dasein, and consciousness, is not a detached observer of the world, operating through the mediation of the human body. Instead, Dasein, as a dialogic relation of care, is inseparable from the world: one cannot be unless one is a being in the world. From this, it follows that consciousness, as an aspect of a being, is itself in and of the world. Understanding Dasein as dialogue calls for clarification of how Dasein is differentiated from the world. To this end, Heidegger proposes that we “think of Dasein not as a thing, but as a ‘clearing’ or ‘lighting’, in which both practical contexts and roles show up in determinate ways” (Guignon, & Pereboom, 2001, p. 195). In other words, one is in the world as a space where care illuminates a view and possibilities. Seeing Dasein as a clearing allows consciousness to exist without being reduced to either an intangible observer removed from the world that it inserts itself into, or an epiphenomenon of empirical biology. Consciousness remains in and of the world while maintaining its individuality. The world in which Dasein is a clearing is not only a biological and tactile world; it is also the world of shared history and culture. This intangible world is full of contextual meanings which shape one’s care (Risser, 1997). These already existent meanings Gadamer calls prejudices, or for-understandings; and “it is the fabric of prejudices that Gadamer has in mind when he speaks of one’s horizon” (Veith, 2015, p. 22). A horizon is the totality of one’s experience, containing both one’s personal history as well as the cultural and historical lineage that one is born into. This lineage is encountered by each individual as tradition and heritage. Veith further clarifies Gadamer’s concept of the horizon as the “condition (or medium) of all understanding” (Veith, 2015, p. 23). The metaphor of a horizon is aptly suited to how each individual encounters the world of culture and tradition; as two individuals cannot occupy the same physical and temporal location, no two people ever encounter the same horizon of vision. The view is always the result of a unique perspective within the world. One’s experience with culture and history is encountered in a similar manner. As such, while all come from a connected traditional lineage, the point of contact is never the same for two people. Combining of the concepts of Heidegger’s Dasein and Gadamer’s shared horizon allows one to see Dasein as being a clearing within a shared world encompassing both physical and cultural being. The clearing of Dasein exists within the uniquely perspectival experience of the revealed world of history and culture that orients one’s cares. However, the intentionally of this care implies that while some aspects of the horizon are revealed, others are concealed. Despite their concealment these meanings within the shared horizon, continue to shape and orient one’s position toward the world. Frankl (1952/1957) also discusses human existence as fundamentally historical, and that this historicity orders human life in the form of the meanings from which one lives. As such, the horizon—one’s perspectival contact with the shared world of history and culture—contains within it the point of contact to life’s meanings. This understanding of concealed meanings in the shared horizon brings about a new way of viewing the notion of the unconscious; one that is “situated directly in a populated world of language, history, perception and culture. Its depth is therefore lateral rather than vertical, as it surrounds us as the world in which we primordially dwell” (Brooke, 1991, p. 128). The depth that one sees with introspection is, in fact, a reflection of expansiveness within the shared horizon. Seeing unconscious phenomena as inseparable from a shared horizon, allows a response to the criticism that this proposal artificially divides the living experience of being. Instead, the unconscious exists as the aspects of a horizon that are occluded by one’s current meanings. Covered over unconscious phenomena are not removed from the experience of being; instead these concealed aspects of life are the unavoidable and necessary by-product of having a meaningful orientation within the world. This process is one where concealed phenomena announce themselves through their effects upon what is currently accessible. Within the context of consciousness as a clearing, within a horizon, the phenomena announced are fundamentally of an individual’s lived world. What is announced, then, are meanings from within one’s horizon that have been covered over often submerged due to their incompatibility with one’s current explicit stance toward the world. The two modes of appearing mentioned by Heidegger that are most significant to the practice of depth psychology are symbols and symptoms. Working with these phenomena provides one with the unique ability to look into the intersection of conscious and the unconscious phenomena. While both are separate avenues of announcing, each provides an important path for the exploration of concealed meanings shaping one’s life. The concept of symptoms revealing concealed psychic phenomena is a central thesis of depth work. When encountering psychological distress, depth practitioners often “‘suspect’ that more is going on than meets the eye” (Orange, 2011, p. 31). This suspicion portrays the symptom not as a thing to be dealt with on its own or as an isolated problem in living. The symptom is seen as announcing a process, or presence, within the client’s world; that is at this time concealed from conscious awareness. The importance of concealed phenomena cannot be understated for depth practitioners who often posit that, “treating the overt behavior [or symptom] will be useless unless the hidden meanings are dealt with” (Todd & Bohart, 2006, p. 139). In this way, the truly daunting nature of depth psychology’s aim comes into focus; it seeks to treat not only problems in living which bring people to therapy, but also seeks to address the forces and meanings concealed by the very consciousness that would apprehend them. Symptoms are pathological because they are discordant with an individual’s life, to the extent that they are significantly distressing (Comer, 2012, pp. 3-5). The distressing nature of symptoms indicates that they are not likely to be consciously adopted ways of being; rather, they invoke a paradox where psychological symptoms are at once within and beyond the psychic life of an individual. This reinforces the claim that phenomena can be active within an individual’s life beyond his or her current ability to perceive. In this way, a symptom can be seen as announcing the concealed phenomena that brings it about. During his early work, one of the founders of depth psychology, C. G. Jung, sought to examine what is announced through psychological symptoms. Using a series of word association tests, he identified that people can have abnormal reactions to thematically linked objects of consciousness, and examination of these related objects of consciousness often uncovered a traumatic event (Jung, 1935/1985). Through this investigation he formed his theory of the complex. The term complex is Jung’s label for a grouping of objects of consciousness, linked by a common emotional experience, and thematic elements (Stein, 2001, pp. 35-36). The etymology of the word complex suggests being “twisted together” (Martin, 1960, p. 71). The use of this word is intentional, as the contents of the complex are entwined, as in an “image of a certain psychic situation which is strongly accentuated emotionally and is, moreover, incompatible with the habitual attitude of consciousness” (Jung, 1934/1983, p. 38). The complex, as incompatible with one’s current stance towards the world, has an element of Heideggerian submerged concealment. Complexes have the quality of being encountered experientially as, “personality fragments or subpersonalities” (Stein, 2001, p. 50). Understanding this appearance requires further investigation into the nature of personality. As discussed earlier, a fundamental component of a person is their care towards the world (Heidegger, 1953/2010, p. 39). This implies that a foundation of personality is the cares that one lives towards. Also, a person, and their personality, is constituted through a unique encounter with history and tradition, as lived out through the meanings which structure one’s life (Veith, 2015, p. 27; Frankl 1957, p. 31). With this understanding of personality in mind, the complex can be seen as a fragmented and partially submerged care, a meaning that is not known, but erupts as a symptom. These meanings simultaneously structure a person’s life while remaining discordant with the life in which they appear. A person living out a complex is living meanings that are at odds with each other. As symptoms, complexes may be projected upon others, or they may be intentionally ignored blind spots. Further, the emotional pull of the hidden meaning may be of sufficient strength to override consciously lived meanings; and in so doing the submerged meaning takes hold of and directs a person’s actions (Martin, 1960, p. 72). These eruptions of the complexes are encountered as psychological symptoms. Although often unpleasant, these symptoms announce concealed and discordant meanings in a person’s life. Given the fact that meaning-making is a social activity, individuals are both the recipients and the creators of meaning and history. As Veith (2015) says, “The enactment of history’s effect constitutes our very being” (p. 27). Since one is always within or constituted by, these meanings, they cannot be examined in their entirety, from an omniscient view; as such, meanings retain a fundamentally concealed element. Exploring the collective component of meaning provides important insight into the nature of complexes. As an individual develops their own complexes, they are also transmitting complexes that become a part of the shared horizon. The social element of consciousness, and meaning making, did not evade Jung, who discussed this in terms of archetypes (Martin, 1960, p. 71). The archetype itself is neither an inherited idea nor a common image. A better description is that the archetype is like a psychic mold into which individual and collective experiences are poured and where they take shape (in Hopcke, 1989, p. 15). For Jung, this molding quality of archetypes is central to the development of complexes. All complexes have both a personal experiential component and an archetypical component in their development (Stein, 2001, p. 52). This is similar to how the meanings of one’s life contain at once both personal and collective elements. The correlation between Jung’s concept of the archetypes and the historical meaning-making discussed above is striking. Both of these concepts represent vehicles of meaning which structure one’s life. Like historical meaning-making, archetypes cannot be grasped directly. Instead, they are announced, most often through symbol, as Jung noted: “The archetype is the psychic mold of experience, while the symbol is its particular manifestations” (in Hopcke, 1989, p. 29). A central insight of Jung’s work with archetypes, then, is in seeing how these vehicles of hidden meaning appear in conscious life through symbol. Symbols, as conceptualized by Jung, are the “best possible representation of something that can never be fully known” (in Hopcke, 1989, p. 29). This aspect of representation has a property of communication: that is, rendering symbols as imminently contextual language (Cirlot, 1962/1978). This contextual nature implies that while a symbol can be known, it cannot be reduced to a simple definition. The irreducible nature of symbols allows them to be more than representation. As Gadamer (1960/2013) writes, “A symbol is not related by its meaning to another meaning but its sensory existence has ‘meaning’” (p. 66). In other words, while a symbol is representation, it is also something that is directly and powerfully experienced in its own right. This two-fold action of symbols allows them to function as a unique medium in which concealed phenomena within a culture are not only indicated, but are encountered. As discussed earlier, history and culture are experienced directly as the meaning from which one lives. From this, it follows that symbols, as units of cultural representation, are a process that announce meanings from the shared cultural and historical world. Symbols are not only important to the theory of depth psychology, they are also important to the work of depth psychology. A thorough examination of hermeneutic implications for work in depth psychology is beyond the focus of this endeavor. However, a brief discussion of a common depth encounter with symbols demonstrates the importance of hermeneutic understanding in this context. Dreams are analyzed, in part, to illuminate their symbolic components (Martin, 1960). In the process of coming to better understand revealed themes, the meanings announced within a given symbol are revealed to conscious awareness. Martin (1960) discusses three common methods of dream interpretation as follows. First, the dictionary method assumes that a particular symbol has a universal meaning that applies in all situations. Second, it is an “a priori method, which starts with an established theory as to the nature of dreams, and deduces from there what the images represent” (p. 38). Third, is the empirical method; which explores symbols by asking, “What is the mental context for [one] in which this image is contained?” (p. 39). Both, the dictionary and a priori methods of symbolic interpretation are deeply flawed, representing valid targets for May’s (1959) criticism of the unconscious, which suggests it is a blank check for any theory or dogma. However, Martin’s empirical method, which focuses on the individual context of the symbol, is of a different nature. By inquiring into the context in which the symbol arises, one is engaging in a sort of dialogue where unexpected developments may occur. This method of inquiry is essentially hermeneutic; however, the development of a hermeneutic dream interpretation is an endeavor for another time. Examining unconscious phenomena as being announced through symptoms and symbols, demonstrates that submerged phenomena impacting an individual’s life can be illuminated. The exploration of this subject has led to the discovery that what is announced are meanings lived by an individual. These unconscious meanings have been submerged because they are somehow in conflict with the meanings that one explicitly identifies with. A hermeneutic understanding of unconscious phenomena seeks to learn about the unique contextual experience of “the other’s” world. One attempts to understand the unique encounter with history and culture, as lived by the other, and announces itself through symptoms and symbols. Adopting a hermeneutically informed depth psychology allows a practitioner to engage with unconscious phenomena without falling into May’s (1959) criticism of the unconscious as a blank check. This is achieved because the hermeneutic understanding of unconscious phenomena refrains from assuming a truth that supersedes what is revealed through an individual’s dialogue with their unconscious. This dialogue always occurs within an individual’s perspectival contact with the world, and as such is always unique. Incorporation of hermeneutic understanding into depth psychology allows lived meanings that are concealed by one’s intentionality to announce themselves. Each individual encounters life from a unique perspective within the horizon of culture and history. This encounter is lived through the meanings that shape one’s cares and structure a world of experience. Through an encounter with, life, history, and culture, one adopts lived meanings, some of which are discordant. Individuals often submerge discordant meanings in order to maintain psychic equilibrium and continuity. Submerged meanings continue to be an active and structuring influence within an individual’s life, and are announced through revealed experience. This process of announcing is often experienced as symptomatic. Thus psychological symptoms, which announce unconscious contents, are an individual’s process of living discordant meanings. Viewing unconscious phenomena in this way allows a response to the problems highlighted by May (1959). First, being is not artificially divided. Unconscious contents continue to be a part of the totality of one’s psyche as lived meanings hidden through one’s stance within a world. Second, the incorporation of hermeneutic understanding avoids the blank check criticism. The truth within unconscious contents is discovered through dialogue with what is announced from a fundamentally unique encounter with the world. The implications of hermeneutic understanding for depth psychology have not yet been fully explored. However, as demonstrated here, the incorporation of hermeneutic understanding into depth psychology is an important step, addressing several important criticisms. This philosophical examination of the existence of unconscious phenomena may aid proponents of depth in psychology with their important task of reintroducing and articulating the importance of this topic into the wider psychological community. Most important, however, is that applying hermeneutic understanding to unconscious phenomena allows the unique meanings arising within the client’s life to be the center of therapy. Brook, R. (1991). Jung and phenomenology. New York, NY: Routledge. Cirlot, J. E. (1970). A Dictionary of symbols (2nd ed.). (J. Sage, Trans). New York, NY: Routledge & Kegan Paul Ltd. (Original Work Published 1962). Comer, R. J. (2012). Abnormal psychology (8th ed.). New York, NY: Worth Publishers. Frankl, V. E. (1957). The doctor and the soul (R. Winston & C. Winston, Trans). New York, NY: Alfred A. Knopf, INC. (Original Work Published 1952). Gadamer, H.G. (2013). Truth and method ( D.G. Marshall & J. Weinsheimer Trans). New York: NY: Bloomsbury. (Original work published 1960). Guignon, C.& Pereboom, D. (2001). Existentialism basic writings (2nd ed.). Indianapolis, IN: Hackett Publishing Company, Inc.
Heidegger, M. (2010). Being and time (J. Stambaugh, Trans.). Albany, NY: State University of New York Press, Albany. (Original Work Published 1953). Hopcke, R. (1958). A guided tour of the collected works of C.G. Jung. Boston, MA: Shambhala Publications, Inc.
Jung, C. G. (1983). Travistoc Lecture II. (R. Winston & C. Winston, Trans). In A. Storr (Ed. ), The essential Jung. (pp. 33-37) Princeton, NJ: Princeton University Press. (Original work published 1935). McIntyre, R. & Woodruff, S. Theory of intentionality. In J. Mohanty & W. McKenna, (Eds). Husserl’s phenomenology: A textbook (Washington D.C.: Center for Advanced Research in Phenomenology and University Press of America. Martin, P. (1960). Experiment in depth: A study of the work of Jung, Eliot and Toynbee. London: Routledge & Kegan Paul Ltd.
May, R. (1959). Contributions of existential psychotherapy. In May, R., Angel, E., Ellenberger, H. (Ed. ), Existence: A new dimension in psychiatry and psychology. New York, NY: Basic Books, Inc.
Orange, D. (2010). Thinking for clinicians; Philosophical resources for contemporary psychoanalysis and the humanistic psychotherapies. New York, NY: Routledge. Risser, J. (1997). Hermeneutics and the voice of the other; Re-reading Gadamer’s philosophical hermeneutics. Albany, NY: State University of New York Press, Albany. Todd, J., Bohart, A. (2006). Foundations of clinical and counseling psychology (4th ed.). Long Grove, IL: Waveland Press, Inc.
Valle, R., King, M., Halling, S. (1989). “An Introduction to Existential-Phenomenological Thought in Psychology.” In Valle, R. & Halling, S. (Ed.). Existential-Phenomenological perspectives in psychology: Exploring the breadth of human experience. (3-16). New York, NY: Plenum Press. Veith, J. (2015). Gadamer and the transmission of history. Bloomington, IN: Indiana University Press. Andrew Carnahan is currently pursuing a master’s degree in Existential Phenomenological Psychology at Seattle University. Prior to graduate school he worked as an addictions counselor in Seattle treatment centers, and holds a degree in Alcohol and Chemical Dependency Counseling. His primary academic interests reside within the intersection of Jungian and Existential-Phenomenological psychology, as well as Humanistic approaches to addiction treatment. Andrew lives with his wife in the Seattle area.